The Bloomsbury Handbook of Electronic Literature, ed. by Joseph Tabbi, 2017. Crossing disciplinary boundaries, this book explores the foundational theories of the field, contemporary artistic practices, debates and controversies surrounding such key concepts as canonicity, world systems, narrative and the digital humanities, and historical developments and new media contexts of contemporary electronic literature. 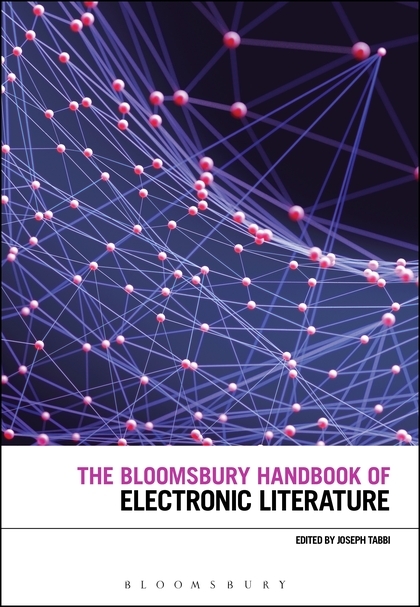 Including guides to major publications in the field, The Bloomsbury Handbook of Electronic Literature is an essential resource for scholars of contemporary culture in the digital era.